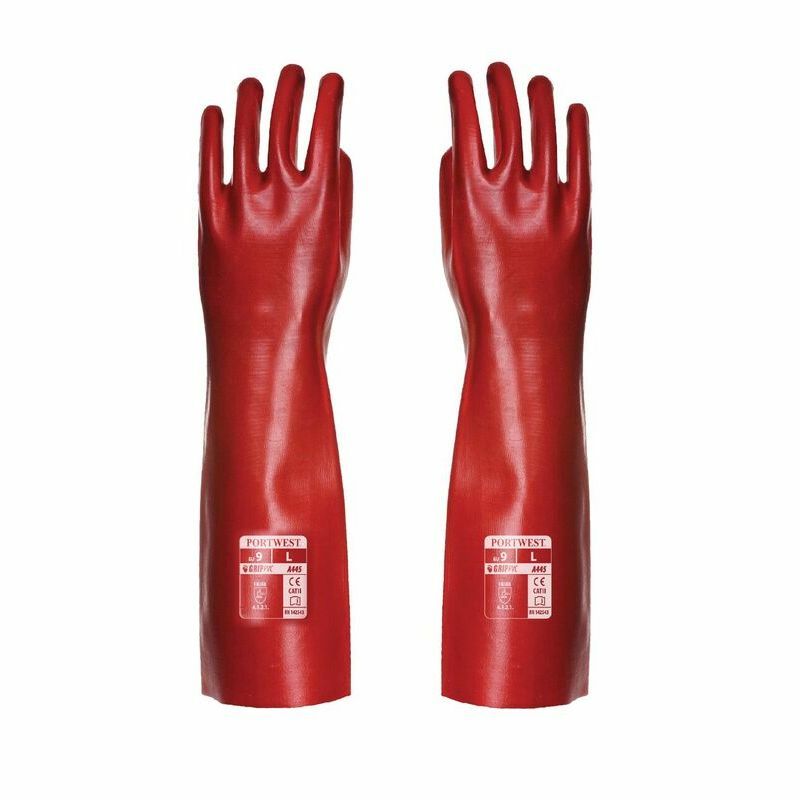 With extra long gauntlet style arms, the Portwest 45cm PVC Handling Gauntlets offer superb abrasion protection to be used primarily for handling materials. 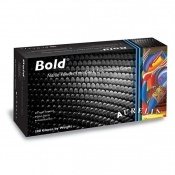 Their tough PVC design ensures extra grip, while a comfortable inner cotton liner keeps the hands cool making them ideal for extended use. The Portwest PVC Gauntlets are fully lined with soft cotton, ensuring that hands stay comfortable during use. 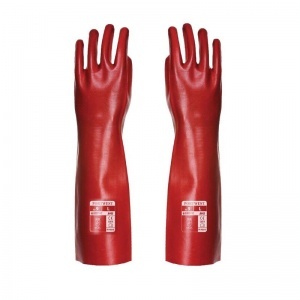 This is perfect as it is combined with a thick PVC coating that offers grip and protection, all of which make the gauntlets ideal for handling applications. 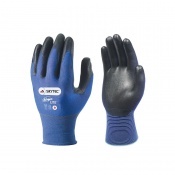 The Portwest PVC Handling Gauntlets are available in one size (extra large), however due to the open and flexible nature of the gauntlets they should fit most users. The gauntlets are available in a total of three different lengths (27cm, 35cm and 45cm) and are all available on our website. Great service, quick delivery and good quality gloves.